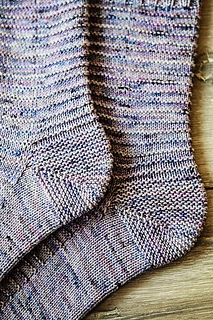 These are such a simple yet effective design and paired with the garter stitch heel it really helps to tie it all together. 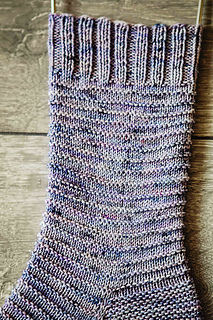 This pattern would work great with all different dyeing styles as well as being a great beginner pattern. 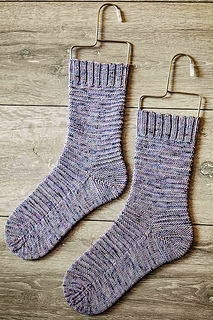 This is a great step up from just a plain vanilla sock if you are newer to sock knitting and if you are a more seasoned knitter these are just really fun and mindless without being boring. 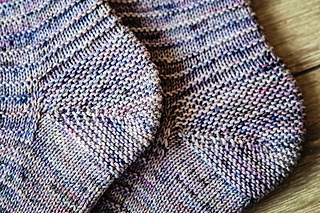 Plus the pattern repeat is super short and memorisable which makes it great for on the go knitting as well! The name was a suggestion from a follower on Instagram and I had to go with it as who doesn’t love a good pun! 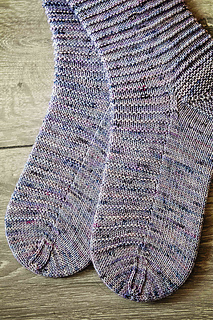 If you purchase this pattern and the matching HAT pattern then you will get both for 20% off (previous purchases will apply to this so if you’ve previously bought the socks don’t worry you will still get the cumulative discount when purchasing the hat). 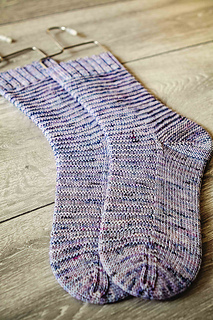 • Yarn – 100g Sock Yarn (approx. 365-400m / 400-440 yds) Sample knit in Oh Loops Yarn in the Perfection Knot base in the Eeyore Colourway (75/25 Superwash Merino/Nylon).